Netflix profiles are a great way to tailor the Netflix experience to individuals living in your household, set up parental controls for kids in the family, or simply to separate your own interests and viewing habits. Netflix's popularity is based in part on its ability to analyze a person's viewing history and make helpful suggestions on what they might be interested in watching, but when there are multiple people with different interests viewing the same account, these suggestions become less useful. Netflix allows users to create up to five different profiles for a single account, but you can't delete the original profile at this time. Profiles work across most devices, meaning profiles you set up on one device will appear on all of your devices. This includes your smartphone, tablet, smart television, streaming device, personal computer, etc. However, profiles may not be available on devices released before 2013. Profiles are designed with multiple person households in mind, but they can also be a great way to organize your own viewing habits. For example, if you love sci-fi/fantasy but also romantic comedies, creating a separate profile for each can help generate suggestions tailored to those specific genres. So when you're in the mood for a romantic comedy or a sci-fi thriller, you can choose the appropriate profile to get tailored suggestions. You can set parental ratings for movies and shows in the management screen. Managing your profiles is virtually the same across most devices, but how to get there may be different depending on which device you're using. First, we'll look at how to manage profiles on your computer, then circle back to how you can access these settings on other devices. Go to netflix.com in your favorite web browser. Sign in to your Netflix account if needed. 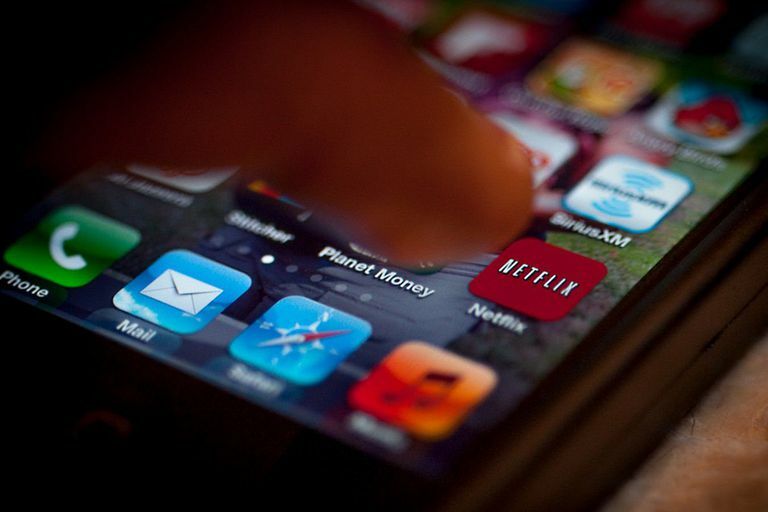 Netflix will load either the "Who's Watching?" screen or the browse screen, which displays the movies and shows available. If you're in the browse screen, click the Profile button in the top-right corner of the screen. This button is just to the right of the notifications button, represented by a bell icon. When you click the Profile button, a drop-down menu appears. Click Manage Profiles. You can create a new profile from the "Who's watching?" screen or the "Manage Profiles" screen by clicking the button with the plus (+) sign. If the profile is for a child, click the Kid checkbox. Click Continue to save the profile and return to the Manage Profiles screen. Now that you've created a new profile, you may want to customize a few settings, especially if the profile is meant for a child. Edit a Profile: You can edit your profiles by clicking on it from the Manage Profiles screen. Change the Name: You can change the name of the profile by clicking on the name and typing in a different one. Choose a New Image: Click the pencil icon in the lower-left corner of the profile icon to change the picture. Unfortunately, you cannot upload your own photo. Set the Maturity Level: You can change the maturity level by clicking the drop-down under Allowed TV shows and movies. The maturity levels include Little Kids, Older Kids, Teens, and All Maturity Levels. If the profile is set up as a kid's profile, only Little Kids and Older Kids will show up in the drop down. You can manage your profiles on streaming devices as well as tablets and smartphones. It may be easier to create and manage profiles on a PC, but we often watch Netflix on our smartphones, tablets, smart TVs and streaming devices like Roku or Apple TV. Most of these devices also allow us to create profiles and manage our settings. On an iPhone: tap the More button in the bottom-right corner of the screen. Profiles are listed across the top with a Manage Profiles button below. On an iPad and Android devices: tap the hamburger menu button represented as three horizontal lines in the top-left corner of the screen. From the menu, tap the active profile at the top to reach the "Who's Watching?" screen, then tap Edit at the top-right corner to manage profiles. On Roku, Apple TV, and most other smart devices: Scroll up to the row that begins with search and tap Profiles. On the Profiles screen, tap the Plus (+) sign to create a new profile. To manage settings, tap the profile you want to change, then tap or swipe down to the pencil button and tap.